Unfortunately the museum closed down due to various reasons in autumn 2014. 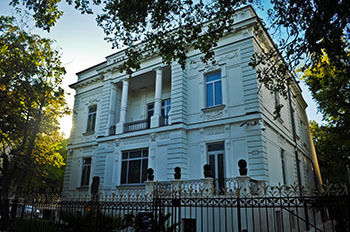 The museum, housed in an elegant villa on Andrássy Avenue, gives home to a collection of gold and silver artifacts unique in the world. The exquisite artworks show the unbelievable richness of South East Asian art and culture as well as the 45 years of passion and knowledge of the collector: István Zelnik. In the Zelnik István Southeast Asian Gold Museum visitors can see close to thousand artifacts from eleven countries of Southeast Asia. Most of of these objects are of gold and date from prehistoric times to the 20th century. The display demonstrates the wide spectrum of fine arts in Southeast Asia over the past two thousand years. In addition to the rare exhibition, visitors can enjoy a cup of delicious tea and snacks in the museum’s exotic teahouse situated within a tropical sculpture garden. The finely restored Rausch villa gives home two the rare collection of artifacts that are displayed in nine halls in the two-storey building. 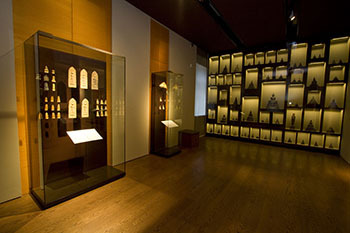 The exhibition is based on the vast collection of István Zelnik a former diplomat. Viewing the display hall by hall, visitors get a glimpse into the rich culture and art of Southeast Asia encompassing a history of more than two thousand years. Buddha statuettes, stupa-shaped-reliquaries, votive plates, ritual vessels – form a large part of the collection. The tribal relics include some unparalleled rarities like the ritual objects related to death cults. A separate exhibition hall is dedicated to Southeast Asia’s own trade network the Maritime Silk Road. silk and other goods traded along the route. A tea or coffee in the exotic Sövény Aladár Teahouse is a worthy conclusion to a visit to this unique museum in Budapest. exploring parts of the cellar filled with oak barrels.